Michael Giacchino embarked on a monumental challenge in 2009 when he took on the task of scoring J.J. Abrams reboot of “Star Trek”. The musical legacy of “Star Trek” goes back through four decades of memorable soundtracks, legendary composers, and instantly recognized themes and melodies that have been ingrained into the pop culture fabric. 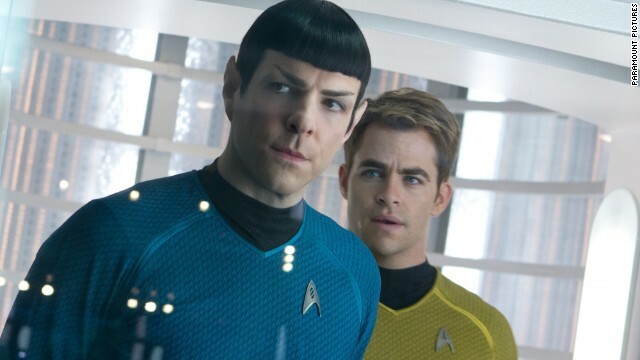 Both J.J. Abrams and his composer hit it out of the park as “Star Trek” (2009) became a critical and popular smash that hit a sweet spot managing to satisfy both long-time fans and mainstream moviegoers. The soundtrack represented another major accomplishment in the meteoric rise of “Lost”composer Michael Giacchino, a phenomenal talent who has become the modern day heir apparent to the kind of rousing genre scoring established by John Williams, Jerry Goldsmith, and James Horner in the post “Star Wars” symphonic revival. It could even be argued that “Star Trek” (2009) is the fourth greatest “Star Trek” film score of all time after Jerry Goldsmith’s “Star Trek: The Motion Picture” (1979) and “Star Trek V: The Final Frontier” (1989), and James Horner’s “Star Trek II: The Wrath of Kahn” (1982). 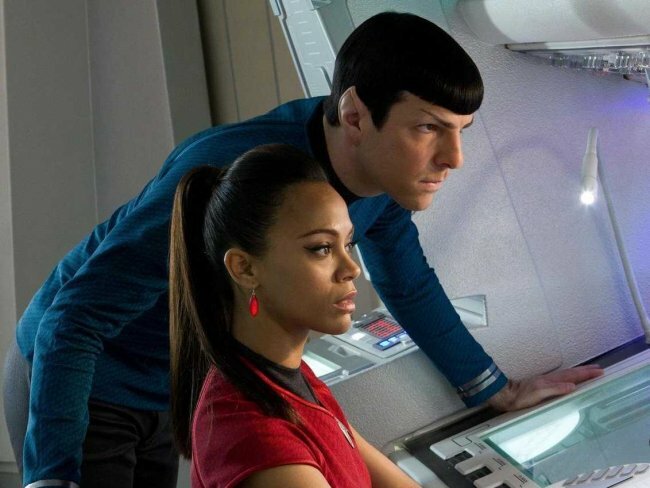 So like the film itself, when “Star Trek Into Darkness” blasted into theaters, there were enormous expectations for Giacchino’s score. 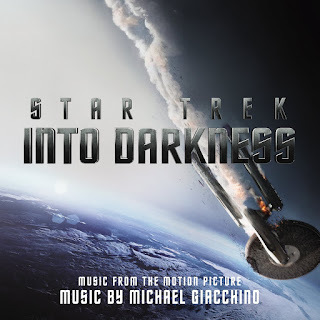 The album for “Star Trek Into Darkness” opens with “Logos/Pranking the Natives”, a brief teaser of the wonderful main theme followed by a wickedly exciting action cue that conjures of up memories of some of the best action music from the classic series as well as Giacchino’s Goldsmith influenced action material from “Lost”. Giacchino cranks it up even further in “Spock Drops, Kirk Jumps”, a brief cue that has terrific Doomsday-esque feel about it, a homage to the classic episode “The Doomday Machine” scored by Sol Kaplan. The "Kronos Quartet” is a wild, choir based action track that is reminiscent of Jerry Goldsmith’s “The Ghost and the Darkness” (1996) as well as Michael Giacchino’s masterwork for “John Carter” (2012). “Star Trek Into Darkness” never fails to entertain, and always keeps the listener emotionally engaged in the mysterious and exciting “Brigadoom”, the rousing “Ship to Ship”, and pulse-pounding action/suspense track “Earthbound and Down”. The pivotal “Warp Core Values” is a wonderfully dramatic, emotion packed gem that leads to the beautiful, tear inducing “Buying the Space Farm”. Michael Giacchino composes the best sad music of any composer since Georges Delerue. The album continues to deliver more dramatic excitement with the rousing “San Fran Hustle” before taking the listener to an emotionally satisfying finale in “Kirk Enterprises” and a reprise of “Star Trek Main Theme”. There is nothing in this score as emotionally powerful as “Labor of Love” or “End Credits” from the first film and the soundtrack is more of collection of cues (and outstanding ones), then a cohesive work like the Williams/Goldsmith/Horner classics or Giacchino’s own “John Carter” and even his first “Star Trek”. But bottom line, “Star Trek Into Darkness” is an outstanding album of entertaining film music and a must own for “Star Trek” fans and soundtrack lovers.